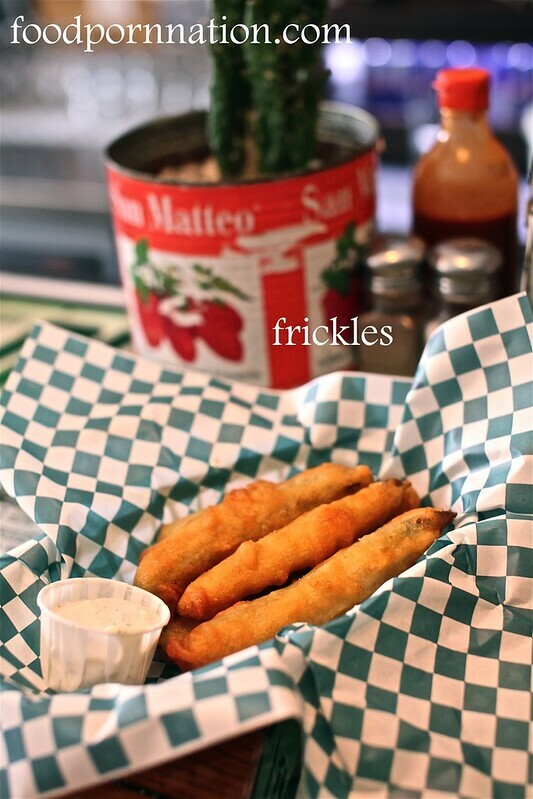 The frickles, ($5.99 – deep fried pickles) seems ungodly but it turns out to be one of life’s true guilty pleasures. If you love pickles you will love them hot, deep fried, covered in batter and then dipped in that tangy ranch sauce. Wanting the best of both worlds, I negotiate to sample both the hot wings and the BBQ wings (11.99). Both are equally tasty as the other. The hot wings will bode well if you like it really spicy. You will cough it, like it’s hot. (Love it).The ranch sauce brings delicious relief and brings it down a notch. 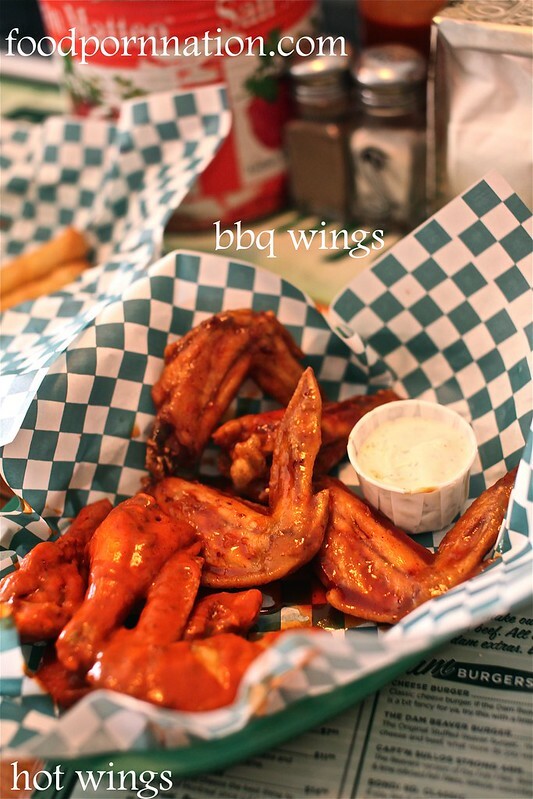 The BBQ wings are as you would hope. Sweet, tangy and sticky. 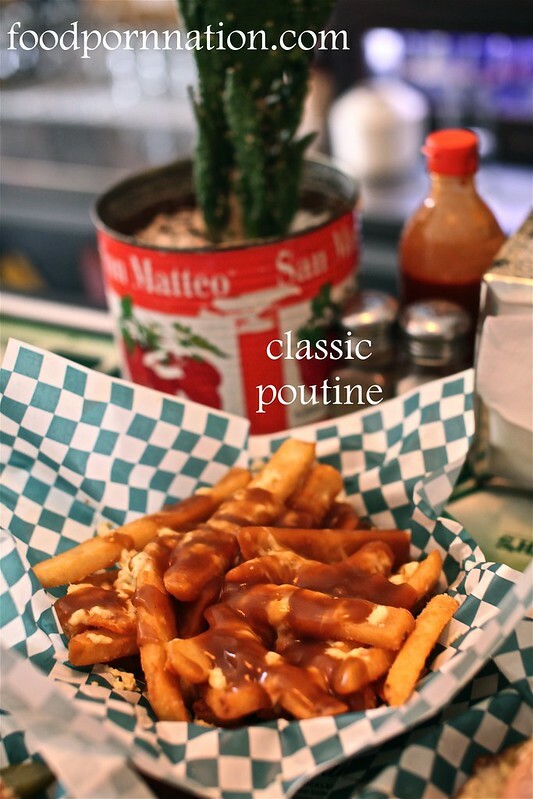 The classic poutine ($14.99) is like Chip de Royale. I’m a sucker for soggy fries so this really hits the spot for my inner glutton. If you haven’t tried this before you must in your heart of hearts, seize this moment. 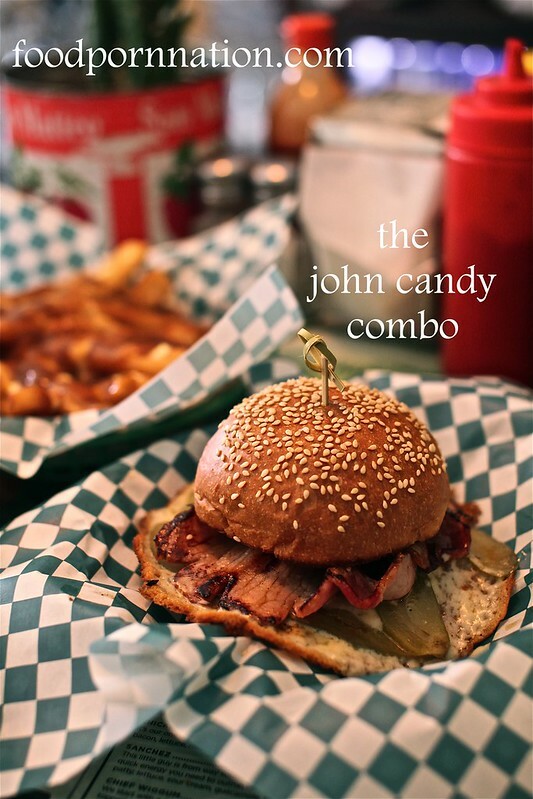 I couldn’t forego the John Candy Combo ($15.80). They grill the cheese until it is melted then insert the pickles inside the cheese until it becomes as a whole. This looks like a fried egg and it is served with a beef pattie & bacon. 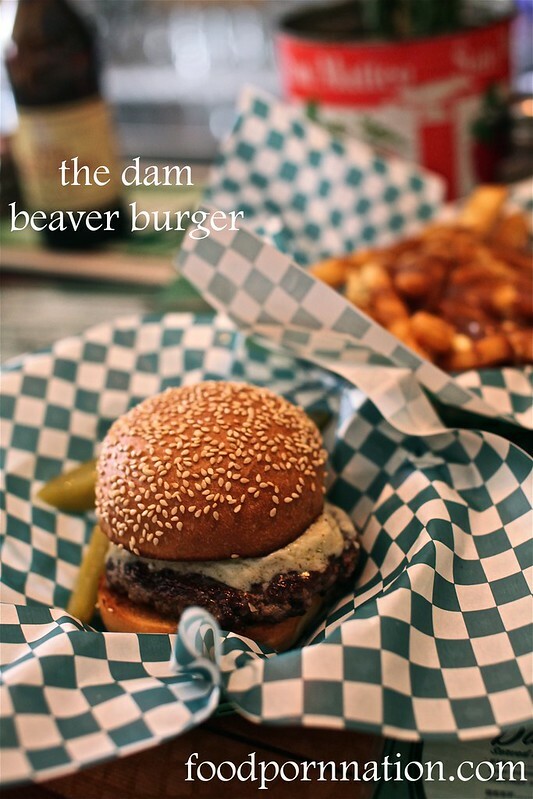 While the dam beaver burger ($10.80) is your regular beef burger with blue cheese which is delicious, rich and hearty. Both burgers were tasty, yet they seemed a little dry and probably could use some sauce. Overall, this is a great find. Service was friendly and relaxed, food is ideal for your dirty junk food hit and marked with a low price point. foodpornnation attended as a guest of the stuffed beaver and trishnicol agency. It is AMAZING! I didn’t think it would be THAT good but I would definitely go back for those and the wings! I want that poutine badly! SAME. Like again and again!! Thanks! The frickles and the wings are amazing!! This looks so delicious but so bad so bad for you! Haha yes it’s oh so good but oh so bad for you! !